Bold and trendsetting! 7mm wide black titanium wedding band featuring three (3) round brilliant diamonds bezel set. The bright diamonds POP against the black metal! Each diamond is .10ct for a total of .30ctw. A nice rounded profile with dropped edges in grey titanium. 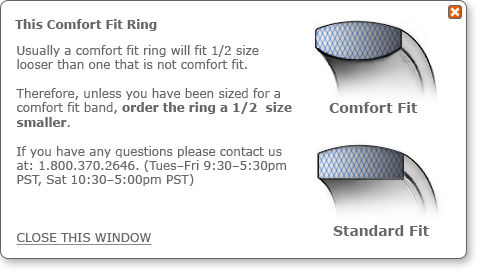 Because this wedding band is comfort fit on the inside, and the titanium is feather light, you'll never know you are wearing it. It's that comfortable! 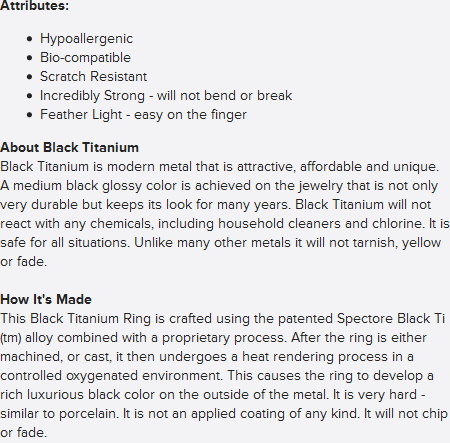 One of our staff favorites for black titanium wedding bands!